Will the robots take my job? Accountants, look out—the robots are coming for your job. A 2015 PwC study found that accounting was the number one occupation at risk from automation in the next 20 years. A report from the Association of Chartered Certified Accountants asked 2,000 professional accountants and C-level executives about the outside forces they expect to affect the accounting profession in the next three to 10 years. The majority (55%) expected automation to have the greatest impact. As new technology changes the landscape of the accounting profession, many accountants are gripped with fears about how automation, artificial intelligence, and blockchain technology will affect or even replace their jobs. And while that fear may come from a very human place, it’s misguided—for two main reasons. Reason number one: New, disruptive technology doesn’t wipe out jobs. It reinvents and even creates them. For example, when the car came along, it created an entire new industry of jobs centered around the automobile—gas stations, repair shops, manufacturing, and more. Reason number two: Automation can’t replace every aspect of an accountant’s job. At this point, the technology can only replace tasks that are routine and non-creative, such as data collection, auditing, general ledger, and accounts payable. So no, the robots aren’t coming for your job. They’re coming alongside you, taking up routine, mind-numbing tasks, and freeing you to move into a more advisory role to provide deeper and more valuable insights to your clients. But if you ignore the pace of change and stick to your old ways, you may be in danger of being left behind. In this climate of innovation and technological disruption, accountants must learn to adapt in order to survive. Many accountants simply don’t want to change. They’ve learned the ropes, settled into their routines, and prefer to stick with what they know. It’s comfortable, after all, and it’s worked so far. Why disrupt the status quo? Accountants aren’t alone in their aversion to change. A 2016 study from the Pew Research Center found that 65% of Americans think that in the next 50 years, robots and computers will do much of the work currently done by humans. However, 80% also think their own jobs will still exist in their current forms. In other words, Americans don’t like to think that automation or AI will significantly change the day-to-day operations of their own occupation. But the truth is, automation will likely transform the accounting profession within the next decade, and accountants need to be ready. Unfortunately, most don’t feel prepared. A study from the American Institute of CPAs found that while 80% of CPAs think their role will significantly change by 2025, only 10% view themselves as innovative. So what do accountants need to prepare themselves for? Technology like AI and machine learning will automate routine or rote tasks that currently can take up hours of an accountant’s day. Moving forward, automation will allow accountants to move into advisory or consultancy roles that look at the big picture, with a greater emphasis on providing operational analysis to clients. 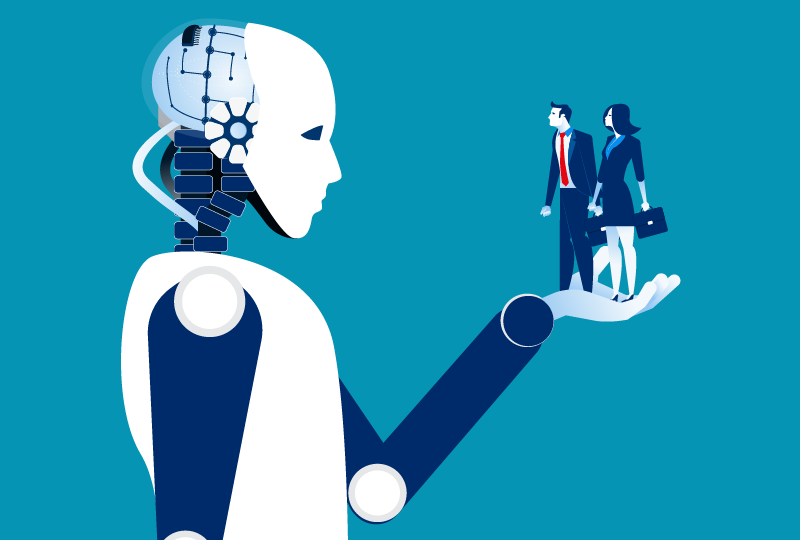 Accounting firms of the future will use automation to become more efficient, communicate key insights to clients, and continue to build their reputation as trusted advisors. While the future of accounting may look bright, many accountants may still be wary of change. And it’s understandable—any sudden disruption in a regular routine can cause fear and discomfort. While the technology is still new, firms that adopt automation now will give themselves a leg up over their competition. They can be more efficient and therefore lower costs for their clients, setting their service apart from the rest. Automation represents opportunity, not obsolescence, for accountants—by automating repetitive tasks, they can free up time for deeper analysis and better service for clients. Firms can innovate new ways to bring value to their clients and offer strategic vision to help guide businesses toward profit and success. Automation is predicted to replace accounts payable positions within 20 years. And while that sounds scary at first, it also means accounts payable clerks will have the opportunity to reshape their job descriptions. Rather than simply working on menial tasks, they can learn new skills for a more fulfilling and interesting job. As long as there are automated processes, we’ll need people to validate numbers, guide the process, and perform work we can’t yet foresee. And this is just one example of how an accountant’s job can transform for the better with automation—imagine how your own role could shift and the new responsibilities and skills you could take on. The truth is, change won’t end with automation. Technology will continue to advance, and the accounting profession (like every other profession) will continue to change in response to that technology. We can’t even imagine the innovations to come in the next decades—who knows what accounting will look like in 30 years? 50? The pace of technology will only increase. According to a 2016 report from the World Economic Forum, 65% of kids entering elementary school today will work in jobs that don’t even exist yet. With that in mind, accountants need to embrace an open mindset that’s ready to adapt to technological disruption. Change is hard—it’s not an easy task to change your mindset, change your expectations, and especially change your job description. Accountants are up for a tough challenge in the years ahead, but if you make a commitment now to learning new skills, being open to new technology, and anticipating the tide of change, you’ll be rewarded with greater opportunities and a more fulfilling role. Niki is a writer for Century Business Solutions covering integrated payments, credit card processing, and how to increase payment efficiency.